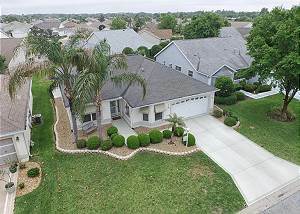 The Villages, Florida United States - 4 SEAT GAS CART DESIGNER HOME IN THE VILLAGES FL FAMOUS GOLF COMMUNITY | RE/MAX PREMIER REALTY Inc.
A guest from Valley City, OH United States recommends this vacation rental. We loved our stay in The Villages. The house was very clean and had everything we needed. The golf cart was top of the line and much appreciated. The location was ideal with easy access to shopping and restaurants. We never had any issues. I would highly recommend this rental property. DONALD B. from SOMERSET, KY United States recommends this vacation rental. Linda I. from New York, NY United States recommends this vacation rental. House was very clean and pleasant. Thank you for taking the time to review the property. We are glad you enjoyed your stay!